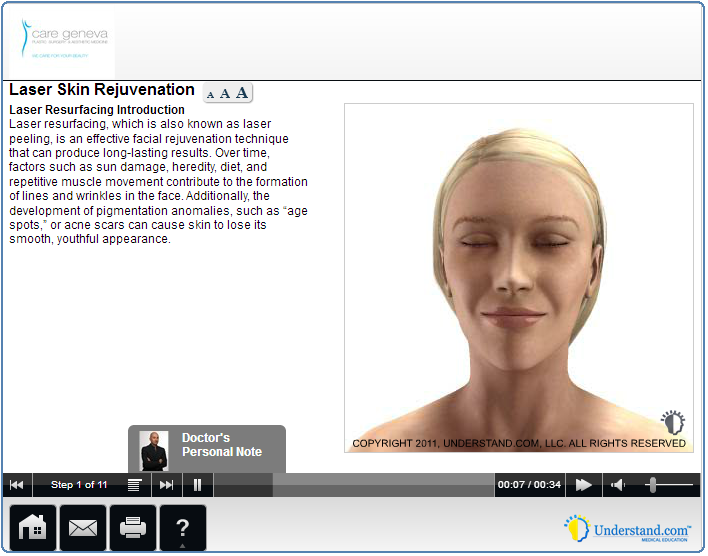 The CO2e (www.lutronic.com) is the new CO2 fractional laser is a useful versatile treatments in aesthetic technology. Fractional technology processes only part of the skin at the same time, thousands of microfaisseaux penetrate the skin to cause a major overhaul of the skin, which allows for rapid regeneration from untreated tissues. CO2 ablative technology fractonnée provides the rajeumissement in depth near the face, neck, hands, lower eyelid with a distinctly shorter than with conventional CO2 lasers downtime. The treatment lasts 20-30 minutes. The discomfort of the treatment is controlled by the prior application of anesthetic cream. One to three treatments may be offered depending on the depth of the lesions. A downtime of 24 hours is needed. Redness lasts 2-3 days. Crusts may appear disappear in 2-3 days.